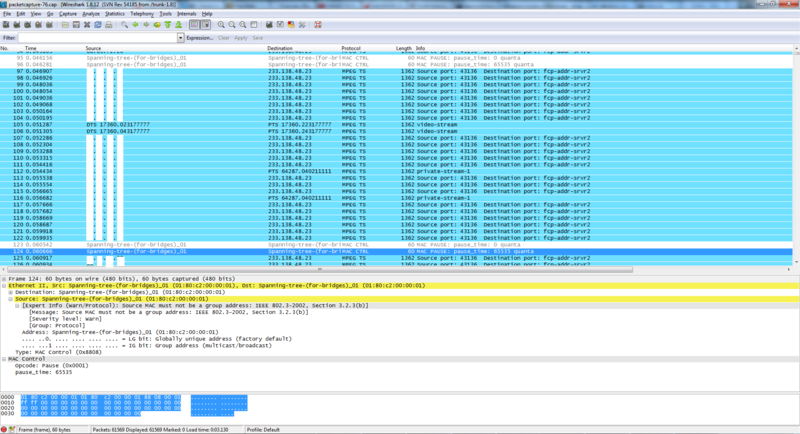 802.3x flow control goes berzerk, can't disable it! help! Basically whenever the IPTV box starts doing its thing, some device on the network keeps sending out 802.3x pause packets on the network (see pic), which causes frozen pictures and pings to pfSense (on LAN) above 1500ms, even though not much traffic is flowing trough it. I'm quite convinced the device sending the packets must be pfSense on the Intel NUC, because I did try with other hardware where i copied my pfSense setup 1:1 with dd to the other HDD, so the only difference would be the hardware, and the NIC driver, which on the other machine was age(4). On this hardware everything was working perfectly, no problems running a couple 1080i streams trough it, and no pause packets shows up in the capture. You might say that maybe the NUC just can't handle the traffic, but it has no problems maxing my 60/60 connection, WHILE running 4x 1080i streams with udpxy (multicast to http). The funney thing is, that whenever i boot up the IPTV box, no real picture ever comes on, and the pings to pfSense goes trough the roof, but the instant that i power off the iptv box, pings to pfSense are back to <1ms, even though the iptv box never got around to send its IGMP leave message, so the stream is still going trough pfSense, no change in the bandwidth usage, yet pings are back to normal. Weird? Could it be that its actually the IPTV box sending the pause messages? But why would it do that with em(4) and not age(4)? To me nothing in the capture seems to suggest that something is wrong with the stream that the NUC sends out. I did try to disable flow control in pfSense, both with hw.em.fc_setting=0 in /boot/loader.conf.local and the sysctl dev.em.0.fc: 0, to no avail, the driver seems to ignore it. Also I tried building pfSense with the newest e1000 driver from FreeBSD HEAD, no difference. atkbd: unable to set the command byte. psm0: unable to set the command byte. img of capture with pause packets Notice the identical source and dst macs, weird? So I "fixed" it. Turns out that it most likely was the netgear switch sending out the pause packets, even tho it was updated to latest firmware version and all.. I bought a Cisco SG300-10 switch and set it up with the same basic vlan configuration and enabled flow control on every port aaaand whatta you know? 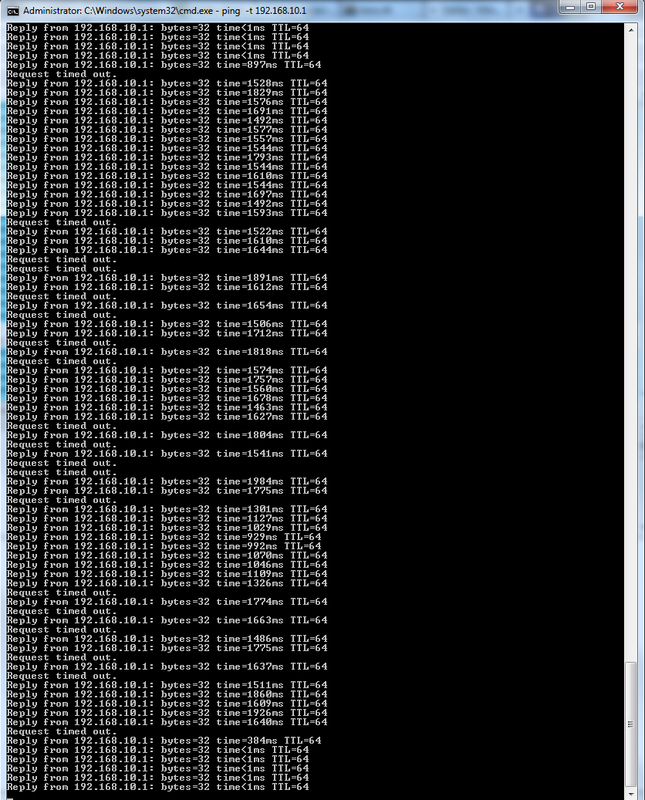 Everything works without a hitch..
Soo, lesson learned: Not EVER buying a netgear product again! SG300-10 has the added bonus of being able to handle the igmp proxying between VLANs, so pfSense doesn't have to!